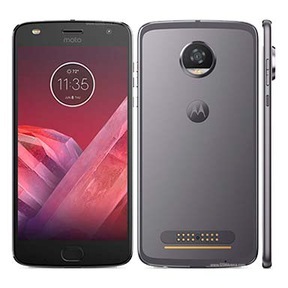 The Motorola Moto Z2 Play came with a great camera, a 5.5 inch HD display, a Snapdragon 626 processor, 4GB RAM and 6GB storage, all of it at a very affordable price. All these features were complimented with the ‘Moto mod’ - a set of moto specific add-ons, provided at the rear of the phone, for increased functionality. This new variant was also thinner than its predecessor, and Motorola had done away with the three-pin android navigation bar. Navigation had to be done by swiping left or right on the fingerprint scanner. All of these features combined, ensure a power packed performance and, undoubtedly, it was one of the best phones at its price range. Even though the phone was adequately priced, its emphasis on the ‘Moto mod’ features, because of the 16-pin connector at the rear might not be a thrilling prospect for many consumers. The Snapdragon 626 SoC and 4GB RAM ensured smooth multitasking on the Moto Z2 Play. The aesthetics and features were better and the phone slimmer, but all of this comes at the cost of a long battery life which became a major drawback for consumers. It has been almost a year since the launch of Moto Z2 Play, and is probably a little too late for resale. It might not fetch one the amount that they want, but this is where Cashify comes in the picture and saves the day! Why Sell Your Old Moto Z2 Play On Cashify? Cashify offers the best value for your old Moto Z2 Play, or when you’re selling any used phone for that matter. This process is made easier as Cashify is an exclusive partner with India’s biggest smartphone makers such as Xiaomi, Samsung and even Apple. 1. Our transparent pricing model is the best in market. All the portal does is, ask you certain questions about your Moto Z2 play condition, model number and the warranty period. 2. Based on your inputs, they offer you a fair price, complete with a doorstep pickup so you that you can easily sell old mobile phones while sitting at home. 3. Cashify will pay the money for your old Moto Z2 Play right at your doorstep - with any payment method you may like - cash, bank transfer, or even e-wallets. Cashify’s agents will deliver the resale cash right at your doorstep for your second hand Moto Z2 Play, without you having to step out of the comfort of your home. Cashify is the most trusted platform in India to sell mobile phones and other gadgets online for instant payment on pickup. Schedule a pickup now!